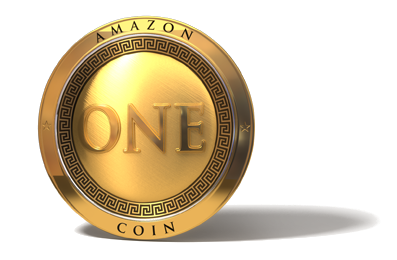 Amazon just announced the release of their own virtual currency, Amazon Coin. Holders will be allowed to spend Amazon Coin to purchase apps, games, and in-app items on Kindle Fire. Naturally Amazon does this to promote the eco-system for the Kindle Fire, which to begin with is quite limited. There are however good reasons that Amazon Coin may be quite interesting for developers. There is no doubt that virtual currency is good for apps, especially games. In fact, GetJar who sputtered along for ages as more of an industry icon than a money maker, has seen an explosive growth since the introduction of their virtual currency. Research houses like Juniper feels the market will grow to $4.8bn in in-app purchases alone in 3 years. We strongly believe while Amazon wants to strategically use this to push the Kindle Fire, the temptation to open this up to the broader Amazon Marketplace and all Android apps/devices will become simply too huge of an opportunity, and that Amazon will eventually open it up everywhere. Our second point adds to this argument. The beauty of virtual currencies is that it can be tied to so much Amazon does, whether it is gifting, earning points for purchases, striking deals with advertisers and brands or more. There is no doubt that if implemented right, Amazon users will start accumulating significant Coin balances, but possibly also in smaller chunks (i.e. lots of people with small balances). What better way to spend the Coins on items costing $0.49-$4.00, i.e. your typical app or in-app purchase? One could easily hear the argument that virtual currency is a bad idea, which is why Facebook abandoned it. This argument is flawed though, as Facebook Credits had a lot of issues that created problems for developers and Facebook itself. First, there was a question about the legality of FB credits. Second, FB credits created issues as games developers often had their own virtual currency, thus you ended up with virtual currencies competing and subsequent exchange rates between them. Third, since FB credits were priced in USD, FBs system did not easily allow for pricing in local markets, thus making global games way too expensive in poorer countries. So while the announcement may seem small and limited to Kindle Fire at the moment, we think that this will not only open up and be good for all app developers submitting to Amazon, but it may also spur similar innovation with other brands and app stores.